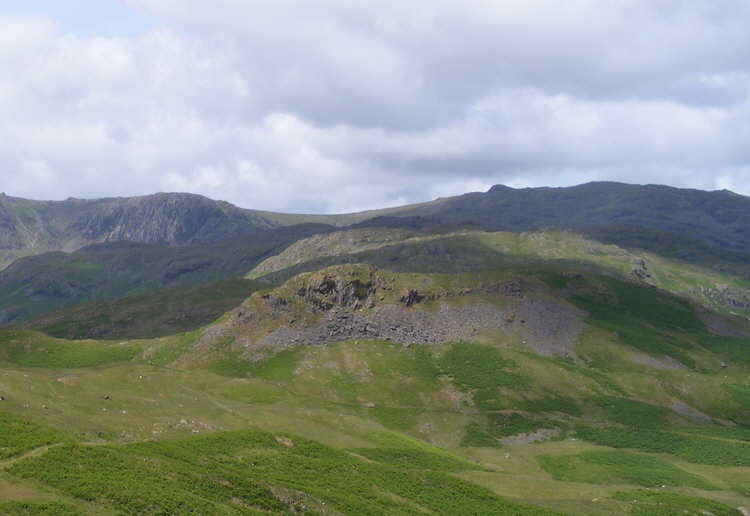 A view along the ridge that leads from Silver How to Sergeant Man and the Langdale Pikes. The path drops down into the grassy area to at the bottom left of the picture, before passing to the first crag in the centre of the picture. After that a variety of paths lead ever upwards to the top of the ridge.